11 Reasons Why You Should Be Drinking Wheat Grass – Even if You Are Gluten Free! Wheatgrass is Your Friend, Not Your Enemy! With juice diets and detoxes trending, wheatgrass is getting more and more attention. As it should! Wheatgrass is powerful and packed with tons of healthy benefits. As a matter of fact, one ounce of wheatgrass is equal to eating 2.5 pounds of leafy, green vegetables! [Click to Tweet] It is an excellent source of vitamin A, B, B-17, C, E, & K. (1.) It also has calcium, potassium, iron, magnesium, phosphorus, sodium, sulfur, cobalt, zinc, amino acids, and enzymes. All that packed into a little one ounce shot, why wouldn’t you drink wheatgrass everyday?! For those who have read my other blogs, you probably remember me mentioning that I have a few allergies. One of the biggest allergies I struggle with is my allergy to caffeine. Wheatgrass is one of the best things I have discovered since my diagnosis. When I take a shot of wheatgrass it feels like I just took a shot of espresso! I feel alert and awake and it will last for hours! The best part is I never crash from it like you do from sugary drinks or coffee. I personally love the taste of wheatgrass, but many do not. I love seeing the expression on someone’s face when they try wheatgrass for the first time because it has a very unique and unexpected flavor. In fact, some juice bars serve it with a fruit juice chaser. I would love to own a juicer and make juice everyday if I could and I would highly recommend it to everyone! Is Wheatgrass Really Juice Gluten-Free? Yes! Wheatgrass juice the juice of a sprout that grows from the red winter wheatberry seed. The only part of the plant that has gluten is the ingerminated wheat seeds (this is what they use to make flour). 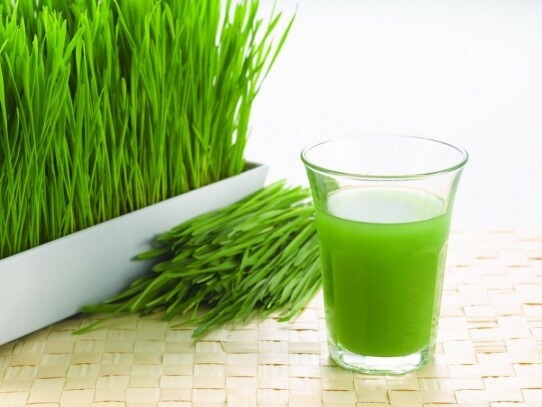 The blades of wheatgrass used to make the juice do not contain gluten. [Click to Tweet] It is important to make sure you cut the grass above the seed line and make sure no seeds get into the juicer to make sure the juice remains gluten-free. -Pull poisons from the gums. It sounds so easy. All I have to do is drink one to three ounces of wheatgrass a day to get my daily supplement. Making it is a different story! Typically you can get about 6 to 8 ounces of juice from one wheatgrass tray. 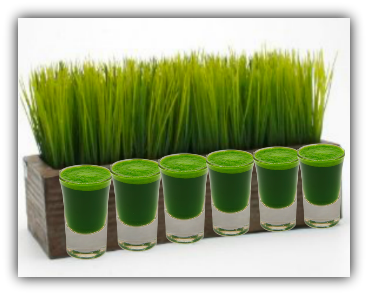 In order to have enough sprouts to drink wheatgrass regularly you will need to keep up around 6 trays of wheatgrass. I would also estimate that it takes about 10-12 days to grow before it is at the right length to cut for juicing. I have heard that you should not try to re-grow the grass after you cut it because it will not have all the nutrients. All this can seem like a lot to handle, but it will be worth the savings! According to an article on GrowWheatgrass.com below is the break down on the cost to consume wheatgrass. Buy wheatgrass juice daily at the juice bar – $3-5 a day. 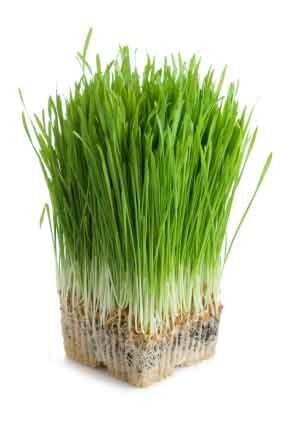 Buy wheatgrass online and shipped overnight – $18 and up per pound. Buy flats of wheatgrass at the farmer’s market – $15-25 a tray. Or grow your own trays of wheatgrass at home – less than $2.00 a tray. So, try it out and feel the benefits! Have you had luck growing wheatgrass? Any tips? Previous PostA Beginner’s Guide to YogaNext PostDo You Get Hangry? Should Snacking Be Part of Your Healthy Lifestyle?